Sunday’s loss to the Patriots was rough, and this Monday isn’t looking any brighter for the Dolphins. 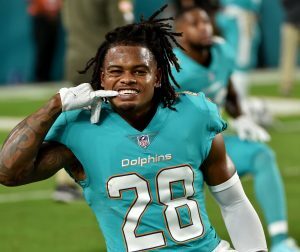 The club has learned that cornerback Bobby McCain and center Daniel Kilgore both suffered injuries in Sunday’s 38-7 drumming, according to Barry Jackson of The Miami Herald (on Twitter). McCain is dealing with a knee injury while Kilgore has a torn triceps. There is no timetable for Kilgore, but a torn triceps is a serious injury with a high risk for a repeat tear if the player is not given enough time to heal properly. Logic dictates that Kilgore is a candidate to go on injured reserve with a chance to return later this year, but we’ll have to wait for more info on that front. McCain, meanwhile, is expected to miss two or three weeks. The slot specialist is an integral part of Miami’s defense – as evidenced by his four-year, $27MM extension – so the Dolphins are hoping to get him back on the field as soon as possible. At minimum, he’ll miss contests against the Bengals and Bears. There’s some mystery surrounding Julian Edelman‘s positive test for a performance-enhancing substance, but that doesn’t necessarily mean that Edelman will get off scot-free, as Mike Florio of PFT writes. Edelman reportedly tested positive for a substance that wasn’t immediately recognizable, but the PED policy dictates that players can be suspended for “substances with a similar chemical structure and similar biological effect(s)” to the 71 specifically banned substances. The league will have to make its case in Edelman’s appeal, but the presence of the catch-all language in the PED policy could swing arbitration in its favor. If Edelman’s suspension holds up, there may be a roster spot open for another wide receiver. Assuming Malcolm Mitchell opens the season on the PUP list, Doug Kyed of NESN.com predicts the Patriots will carry Kenny Britt, Jordan Matthews, Chris Hogan, Cordarrelle Patterson, Matt Slater, and Braxton Berrios on their opening day roster. Outside of Sam Darnold and fourth-round tight end Chris Herndon, Ralph Vacchiano of SNY isn’t sure that any member of the team’s draft class will make an immediate impact. The Jets have high hopes for third-round defensive tackle Nathan Shepherd, but he may struggle in his first year out of Division II Fort Hays State. Barry Jackson of the Miami Herald has some details on cornerback Bobby McCain‘s new four-year, $27MM extension with the Dolphins. The deal lowered his cap hit for 2018 from $1.9MM to $1.5MM, giving Miami a little bit of extra wiggle room this year. Meanwhile, he has no guarantees on his deal beyond the 2020 season. McCain’s deal should keep him under team control through 2022. The Dolphins have made Bobby McCain the league’s highest-paid nickelback. McCain has agreed to a four-year, $27MM extension with the team that includes $13MM guaranteed, according to ESPN.com’s Adam Schefter (on Twitter). McCain, a fifth-round pick back in 2015, was slated to enter the final year of his contract. After the Dolphins carved out an additional $17MM thanks to Ndamukong Suh‘s post-June 1 release, the Dolphins quickly moved to put their cap room towards a new deal with the talented young corner. McCain, 25 in August, has appeared in every Dolphins regular season game over the last three years. Last year, he set new career highs in interceptions (two), passes defensed (seven), and total tackles (45). Pro Football Focus ranked McCain as the 46th best qualified cornerback in the NFL in 2017. He was easily the Dolphins’ best cornerback according to the advanced metrics (and by any measure, really), as he outperformed outside starters Xavien Howard and Cordrea Tankersley. McCain’s deal bests the four-year, $20MM deal ($8MM fully guaranteed) signed by Patrick Robinson with the Saints this offseason. Although McCain is five years younger than Robinson, it’s impressive that he came away with more considering Robinson’s stellar 2017 performance and the fact that McCain did not have the added leverage of the open market. The Dolphins project to return Howard and Tankersley as their starters on the outside with McCain covering the slot. First-round safety Minkah Fitzpatrick – who formally inked his rookie deal on Friday – will start in between along with standout strong safety Reshad Jones. Mychal Kendricks visited with the Vikings earlier today. While the free agent left without an offer, it sounds like he’d certainly welcome playing in Minnesota. After all, it’d provide the linebacker with an opportunity to play with his brother, Eric Kendricks. Predictably, Kendricks indicated that his brother is putting on the full-court press when it comes to recruiting. Dolphins‘ cornerback Bobby McCain had a breakout campaign in 2017, rating out as one of Pro Football Focus’ top players at the position. The former fifth-rounder finished the campaign having compiled 48 tackles, one sack, seven passes defended, and two interceptions. After such a productive season, reporters naturally asked the 24-year-old if he’s been approached about an extension. “I mean, I um, I mean I…” McCain stammered (via Adam H. Beasley of the Miami Herald). “No, I’m just going out and trying to play my best ball.” The defensive back is an impending free agent, but the Dolphins currently have little money to work with… until this weekend, when the team will free up $17MM in cap space due to the Ndamukong Suh move. Before the dust had even settled after Hunter Henry‘s season-ending ACL tear, rumors began to swirl about the Chargers potentially bringing back Antonio Gates. It had just recently been reported that the Chargers were moving on from Gates after his historic 15-year run with the team. A wrench was possibly thrown into those plans when Henry went down with a devastating non-contact injury during OTAs. Chargers general manager Tom Telesco refused to rule out re-signing Gates when asked about it last week. Now, Gates has at least one public supporter in his longtime quarterback Philip Rivers. Rivers sounds excited about the potential reunion, which makes sense considering his history of utilizing tight ends. For years, Rivers had a reliable target in Gates and he continued that trend last year with Henry. Now, with Gates in limbo and Henry sidelined, Rivers lacks a quality middle-of-the-field and red zone threat at the tight end position. The Dolphins will look to extend cornerback Bobby McCain, Armando Salguero of The Miami Herald (Twitter link) speculaties. McCain, a fifth-round pick back in 2015, is heading into the final year of his contract. Salguero thinks the Dolphins will look to lock up McCain with an extension sometime after June 1, when the cap space they freed up from the release of Ndamukong Suh becomes available. The Browns may look to trade one of their surplus wide receivers, Mary Kay Cabot of The Cleveland Plain Dealer opines. After trading for Jarvis Landry and drafting Antonio Callaway and Damion Ratley, the Browns’ wide receiver room is a bit crowded. Cabot thinks returning players Corey Coleman, Ricardo Louis, and Rashard Higgins all will be available for trade at some point this summer. With Josh Gordon in the mix as well, the Browns simply have too many receivers, and will need to deal or cut at least a couple of them. Broncos quarterback Chad Kelly will likely spend his rookie season on injured reserve, per Nicki Jhabvala of the Denver Post (Twitter link), who indicates 2017 will be something of a redshirt campaign for Kelly. This year’s Mr. Irrelevant, Kelly is currently on the non-football injury list after undergoing wrist surgery in April. With Trevor Siemian and Paxton Lynch set to act as Denver’s top two quarterbacks, Kelly wouldn’t have played a role this season anyway, so the Broncos would rather not waste a roster spot. Denver will have to wait until final cutdowns to move Kelly to IR, or else risk losing him to waivers. Chargers first-round wide receiver Mike Williams said last weekend that he expects to avoid surgery on his ailing back. The Bolts are also optimistic that will be the case, according to Eric D. Williams of ESPN.com, who notes that Mike Williams will likely begin training camp on the physically unable to perform list. That wouldn’t necessarily rule out the ex-Clemson star for regular-season action, however, as the team’s hope is that he’ll be able to return during camp to work his way back in time for Week 1. General manager Tom Telesco revealed that the wideout has “been responding well” to treatment. Alterraun Verner‘s one-year deal with the Dolphins is a minimum salary benefit pact and doesn’t contain any guaranteed money, according to Barry Jackson of the Miami Herald. As such, Verner will earn $900K if earns a spot on Miami’s roster, but will only count for $615K against the club’s salary cap. 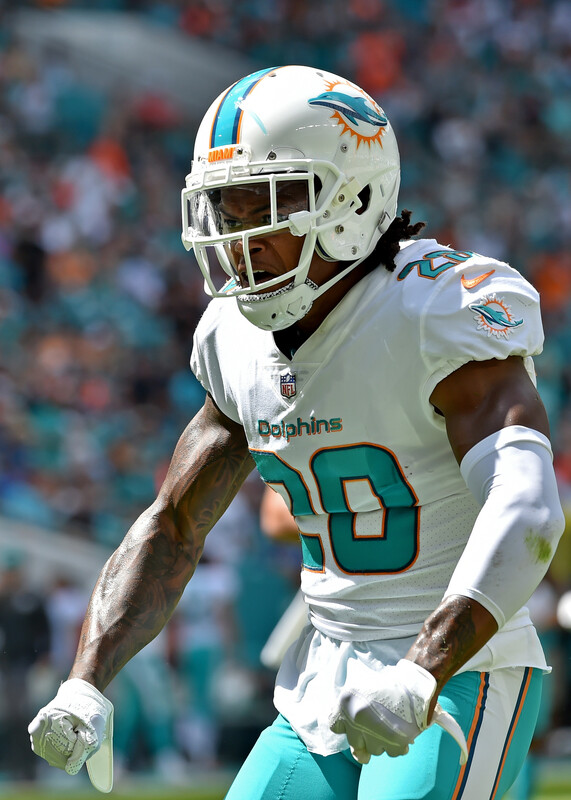 The veteran defensive back is expected to be given “every opportunity” to displace Bobby McCain as the Dolphins’ slot corner, per Jackson, but it’s also possible that Verner will fail to make the squad at all. In 2016, Verner appeared in all 16 games for Tampa Bay but played on only 22.8% of the team’s defensive snaps. Even after signing veteran Bobby Rainey earlier this week, the Ravens may not be done adding running back help, opines Jamison Hensley of ESPN.com. Baltimore’s running game was already among the league’s worst in 2016, ranking 24th in DVOA and 25th in yards, and is now without Kenneth Dixon, who will miss the season after undergoing meniscus surgery. 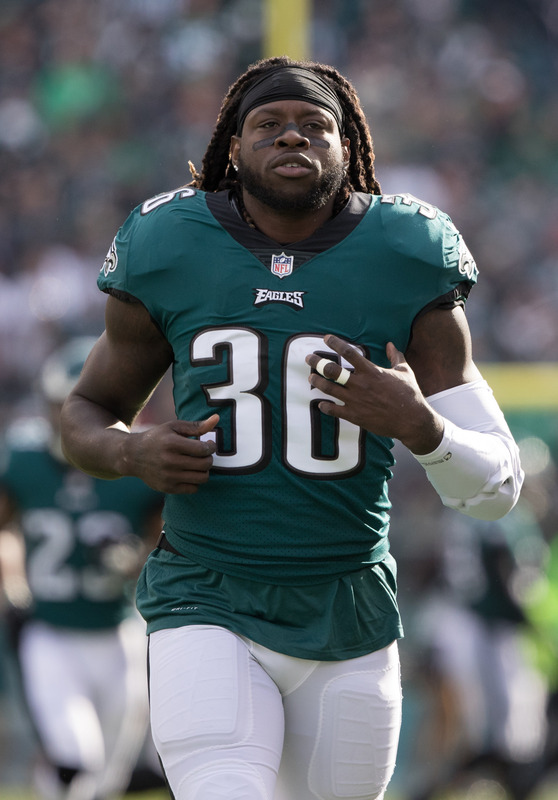 Terrance West, Danny Woodhead, Lorenzo Taliaferro, and Rainey are still on the roster, but the Ravens could consider free agent signings or trades as search for another back, per Hensley, who tosses out Ryan Mathews, Alfred Morris, Matt Jones, and Carlos Hyde as potential options. Texans receiver Deante’ Gray has suffered a torn ACL, tweets Aaron Wilson of the Houston Chronicle. It has been a short but injury-marred career for Gray, an undrafted rookie who suffered a torn hamstring in the spring. Although he’s a Houston native, the ex-TCU Horned Frog was already facing long odds of making the Texans’ roster before his injury issues arose, given that he joined the team on a paltry $2K bonus.